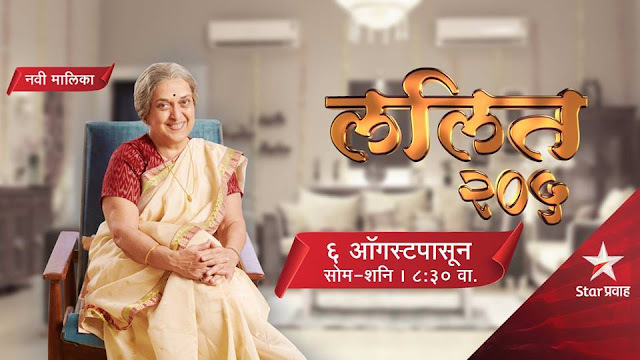 Suhas Joshi will be seen in Star Pravah Serial "Lalit 205"
The legendary actress "Suhas Joshi" who has made her presence felt in all form of entertainment be it theater, serial and film is all set to comeback on television with Star Pravah family drama "Lalit 205". In this family drama alongwith legendary actress Suhas Joshi. Sangram Samel will be seen in an lead role. The upcoming serial will be telecasted from 6th August 2018 at 8.30- 9.00 PM. and the ongoing show Lek Majhi Ladki will be shifted to a new timeslot.